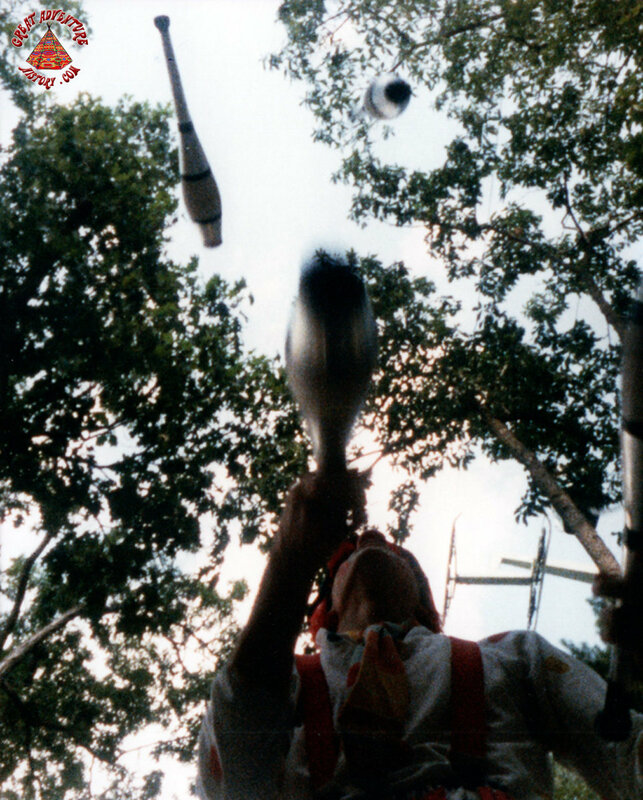 Per Peter Cincotta: "Sparky juggling four clubs as seen from down below." Sparky was the best juggler at the time. I (Juggles) and Greg (Fritz) are juggled clubs. We practiced many different patterns and tricks; and we got better as time went on. Fun, fun, fun. We were all in our early 20's and this was a very fun job.